Doug grew up with the Basques in Nevada. He drank his first wine out of a tin can from a Basque shepherd’s large round glass jug enclosed in a rope webbing and tied to the side of his wagon. 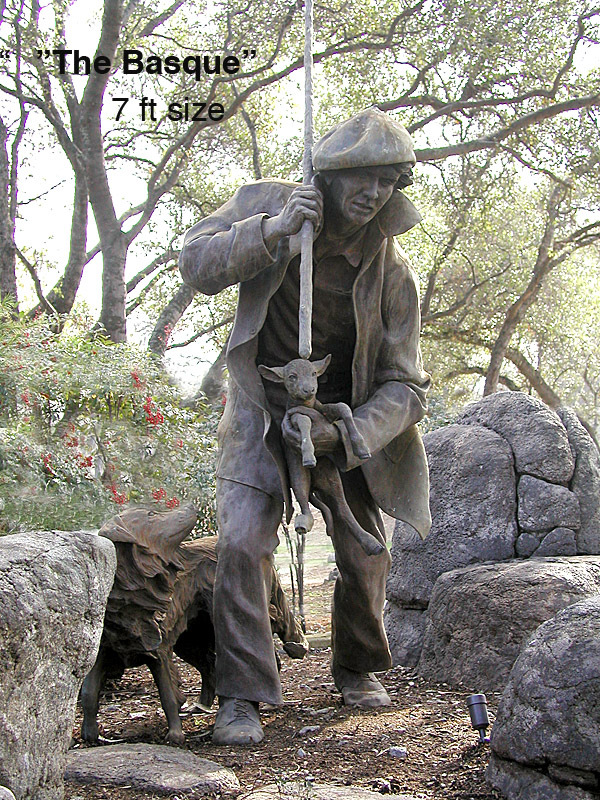 Doug and his father made many trips out into the mountains of Nevada where they encountered the Basque shepherds and found them very knowledgeable about the out-of-doors and great studies in character. The Eleven foot monument was sculpted for John Ascuaga’s Nugget in Sparks, Nevada, as a tribute to the Basque people who pioneered Nevada, displayed with a plaque which pays special tribute to John Ascuaga’s parents. It is available in two sizes.